Last week we began digging out the worm castings in the hoop house and sifting them through one half inch hardware cloth. 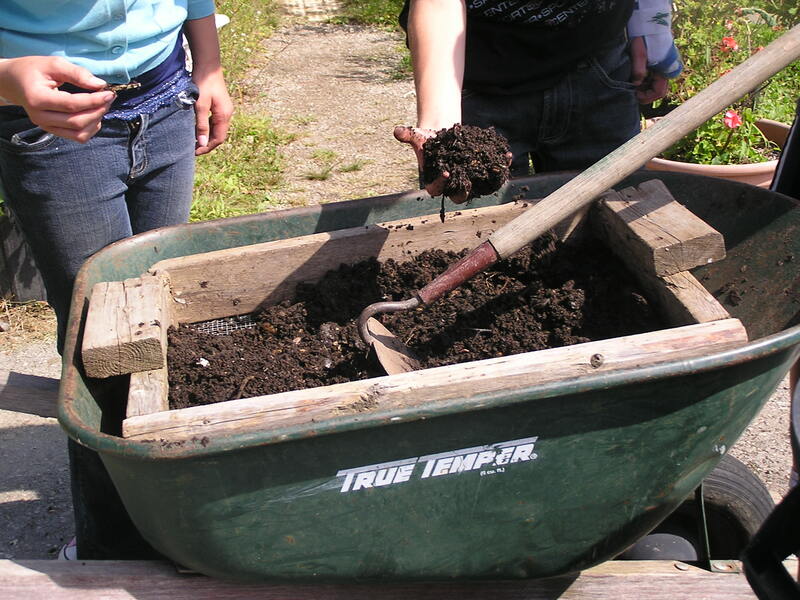 As several kids used a hoe to help the castings through the screen other students collected worms from the screen and returned them to a bucket for later use. In the end we collected two full trashcans of castings! These will be used in the greenhouse as fertilizer in our soil mix. The worms were returned to the bin in the hoop house along with any large pieces of uneaten organic matter and the process was started for this school year’s food scraps from the cafeteria.